It's nearly time for the April Polish Pickup and I'm back with the second to last color I have to share this round. Today we're going to check out Great Lakes Lacquer On His Shell He Holds The Earth. This was inspired by turtle art done by Alicia De La Cruz (Leesha's Lacquer). Notes: This is a highly reactive thermal, so you should have no trouble getting it to change colors. There is no cap planned for this color. 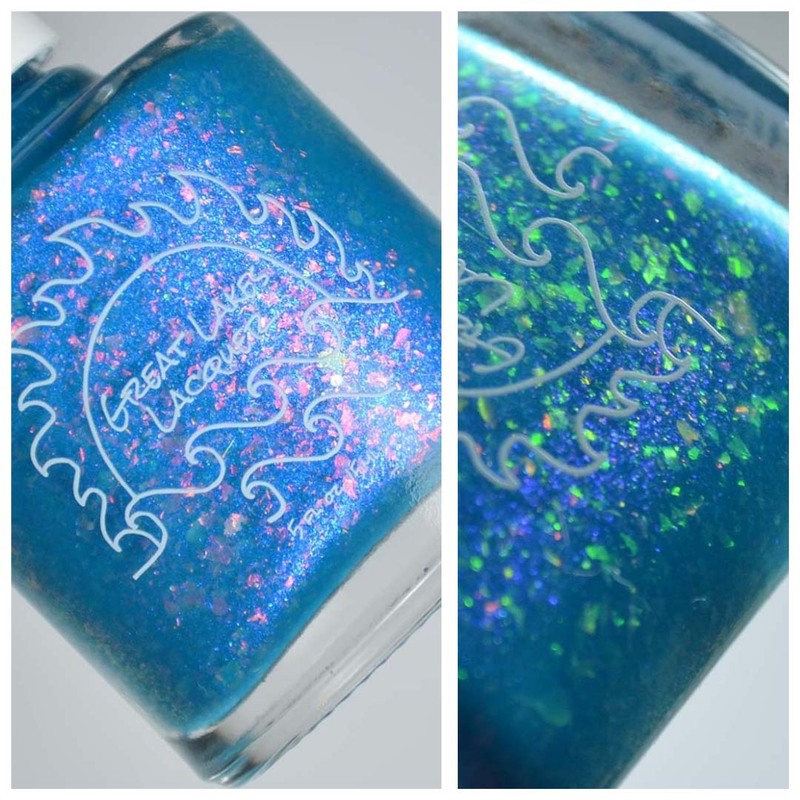 Great Lakes Lacquer On His Shell He Holds The Earth will be available through the April Polish Pickup. The shop opens on Friday, April 5th and closes on Monday, April 8th. If you enjoyed this post you might like Great Lakes Lacquer Billions of Beautiful Hearts | Polish Pickup March 2019 and Great Lakes Lacquer All Shall Face | Hella Handmade Creations March 2019.